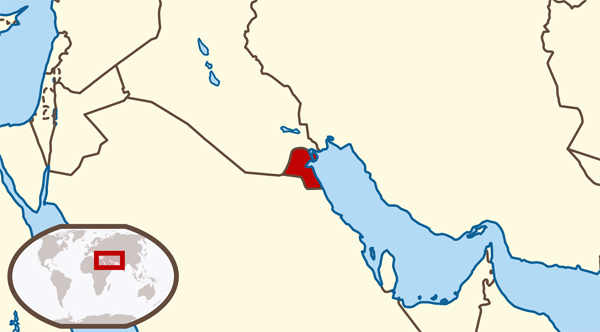 Kuwait is based in the Middle East between Iraq and Saudi Arabia, facing the Arabian Gulf Sea. Local language is Arabic, and Kuwaiti dialect, and second most common language is English. Kuwait is a Muslim country. Transportation can be arranged by local car hire companies such as Avis / hertz / Eurocar / as they have plenty of offices in the country and better rates can be obtained from smaller scale rent a car companies. Taxi is also available for commuting and best handled by agreeing on the amount payable for the required destination. Local Electricity is UK standard 220V either 3 pin or EU 2 pin works. Weather in the summer temps range from mid 30’s to high 50’s, in the winter temps range from -2 to 12, since the event will carried during the winter months it would be best to bring warm cloths and some light clothes as well as the change of weather is significant. Taxi fare from the hotel to the track will be no more then 5KD one way, most city locations will not exceed that price at the most 10KD. Fast food joints ranging from Mc Donalds to Burger King and Pizza hut will be from 2KD – 5KD at the most per person. There are plenty of other local restaurants fast food joints cheaper and just as good such as shawarmas and Falafels and samboosa Asian and Arabian delicacies. Hardware stores such as True Value and or Ace Hardware or Bin Nusif are in the industrial zone of Kuwait about, 15 Mins drive from the track, and local club members are more then happy to provide transportation back and forth to these stores if required or supplies can be brought to the track. A daily expense of 30KD to 50KD in and around Kuwait is all that is required, at the most.